Donald Trump is a car nut. And people who've worked for him say he's always been particular about which cars he likes to drive, who he likes to drive him around, and which right-wing talk radio hosts he likes to listen to in the car. Behind the scenes: On some Fridays during the 2016 campaign, Trump would hop in his Rolls-Royce and drive from Trump Tower in Manhattan to one of his nearby golf clubs. 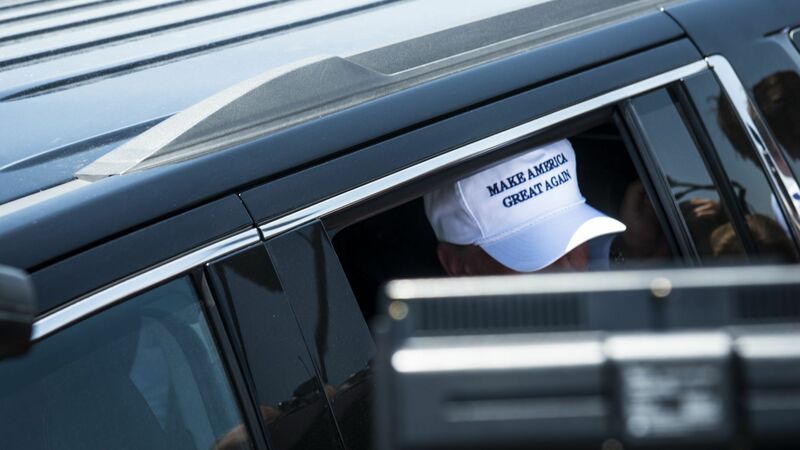 Trump would wear his MAGA hat and listen to Rush Limbaugh, according to a source familiar with his driving routine. Trump loves driving, but he also enjoys being driven around — sometimes just for the sake of it, not to get anywhere in particular. He owns a black Cadillac limousine — "old school, with the partition and the bar ... like the inside of the limo in 'Home Alone 2,'" according to the source. Before he became the Republican nominee and got his Secret Service detail, Trump would sometimes just go for a cruise. "He'd be driven into a TV studio to record an interview and he'd say afterwards, 'Let's drive a couple blocks and listen to the radio.'" By radio, he meant right-wing talk shows: Rush, Sean Hannity, sometimes conservative Mark Levin in the evenings, and sometimes provocateur Michael Savage. Between the lines: Over the past decade, Trump has spent countless hours honing his feel for the Republican base by listening to right-wing talk radio on his drives. As president, Trump still loves driving past the lines of people on the street on the way to rallies. "Let's turn the lights on so they can see me," he sometimes says, according to a source familiar. A White House source who's joined him for car rides told me Trump likes to recognize the people who wait in line for hours to see him — plus, he craves the attention. During the early days of the campaign, before getting Secret Service protection, Trump would ride in the front seat. People used to chase the car with MAGA hats, photos of him and other memorabilia. He would open the window at stop lights and sign things or he'd tell the driver to pull over. Trump chafed when Secret Service ended these impromptu stops. "We've lost the magic," he'd gripe. As president riding in his armored Cadillac, he'll say, "Come on let me out. They'll go crazy. ... Stop the car for one second and open the door." They always say no.